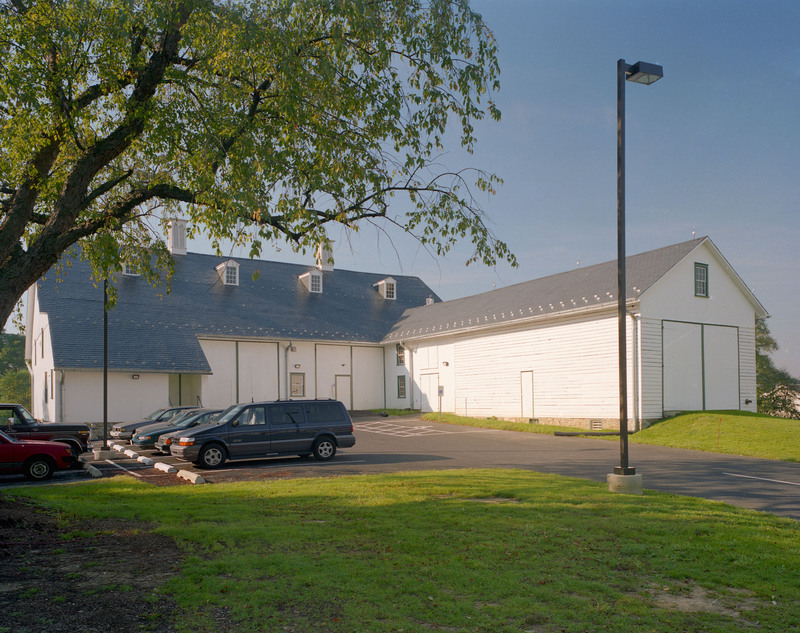 The historic bank barn located at the remote edge of the property of the Homestead Village Retirement Community was ideally suited for the much-needed commercial laundry and maintenance facilities. This front view highlights the large side-hinged barn doors, now reinforced and motorized so drivers can access the loading bays without leaving their trucks. Inside there is plenty of room for laundry and maintenance equipment, as well as offices and a lunchroom. Faithfully restored, the exterior of the barn includes replacement dormers and cupolas using wood trim reproduced from salvaged historic components as patterns for custom millwork. This rear view of the barn highlights the new slate roof and original windows that were repaired or replaced to match. The open roofed areas are repurposed from sheltering livestock to sheltering maintenance vehicles and private buses. 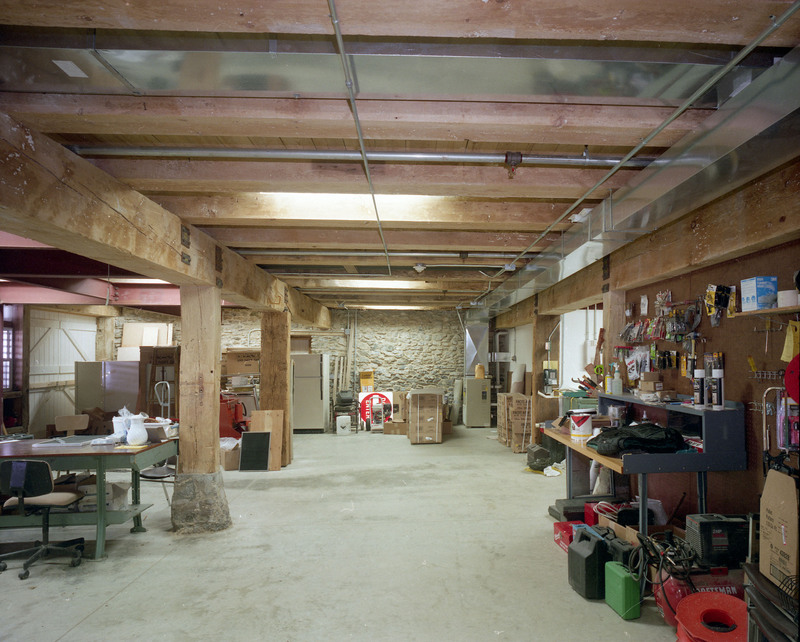 Exposed in the loading bay, the post & beam barn structure ensures the laundry has smooth, easy-to-clean walls while the original floor, reinforced to support the weight and vibration from trucks and laundry equipment, is covered with poured in place concrete. Energy-efficient industrial lighting fixtures complement natural lighting from the dormers, and light-colored walls increase the visibility of the exposed structure to reduce energy use, thanks to their reflectivity. 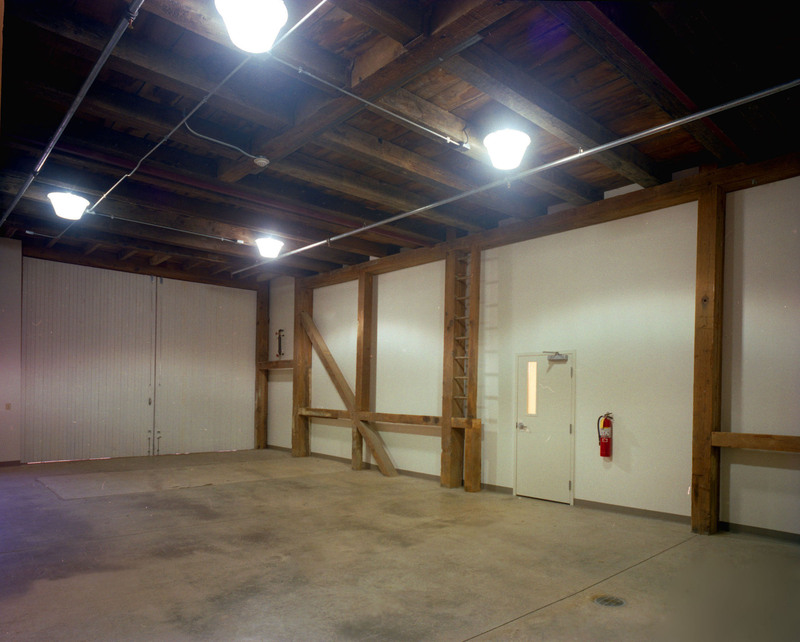 Once a dairy cow milking area, this roomy first-floor maintenance shop features reinforced steel beams and original wood columns. Lending character to the hard-working space, the stone walls have been repointed to restore their historic appeal. 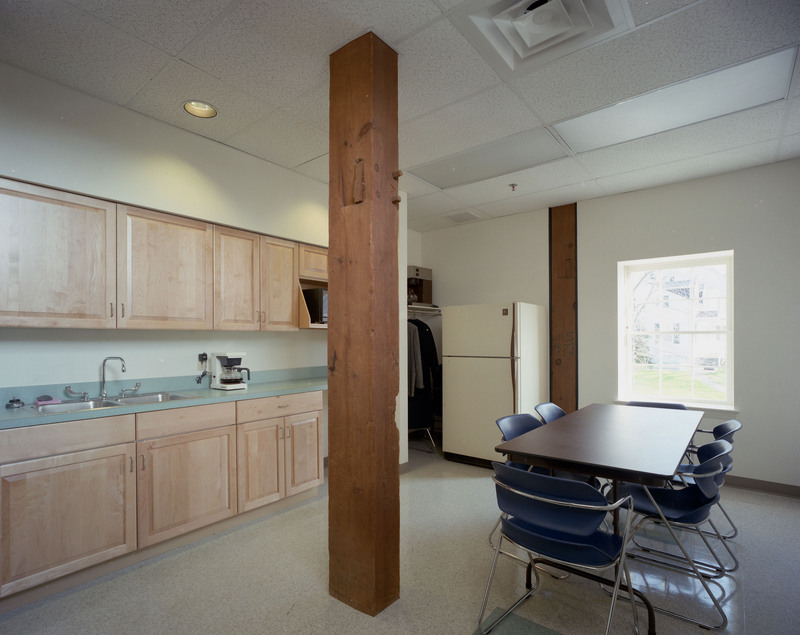 The bright, comfortable staff lunchroom on the upper level of the barn offers plenty of space and storage, even when seasonal workers increase staff size. Suspended acoustical ceilings control noise and reduce HVAC and lighting costs in the back-of-house service areas.